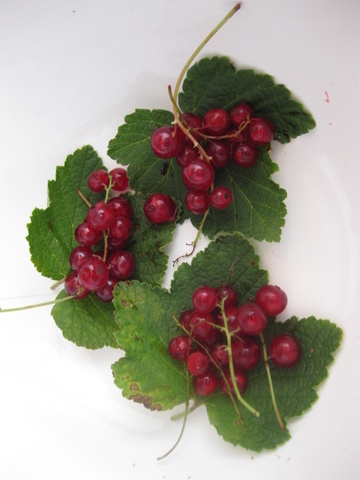 If there’s one thing the Brits understand about, it’s redcurrants. Most people, when faced with a glut of these gem-like fruits, go all to pieces. Brits are known to calmly go about making a batch (or three) of redcurrant jelly, which they stash away, ready to serve with successive Sunday roasts of lamb. 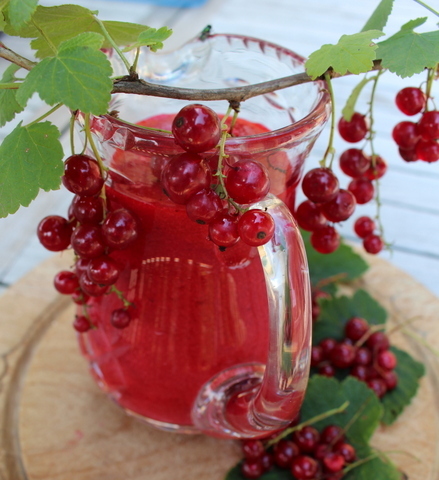 For the rest of the world, not all of whom may share the Anglo-Saxon fondness for jam with meat, here’s another idea for these glistening red jewels: strip the currants off the stalks, whizz them up in a blender (no cooking!) with icing sugar, push through a strainer et voila… you have a sharp, vibrantly coloured coulis that’s just crying out to be partnered with pudding. This should be something intensely sweet – think ice cream or tiny, lint-white meringues or anything involving white chocolate – to provide a counterpoint for the tartness of the currants. And white desserts (panna cotta?) are perfect, for a good colour contrast with the ruby coulis. A sprig of mint doesn’t go amiss either. The coulis freezes well too, so in the depths of winter, instead of hauling up another pot of jelly for your leg of lamb, pull out a pot of coulis from the freezer and serve a puddle of it beneath your favourite, sweet, white dessert. Strip the currants off the stalks using a fork. Rinse them well and shake dry in a strainer. Put them in a blender with the icing sugar and blitz till smooth. Tip them into a strainer held over a bowl and push them through to remove all the pips. Pour the coulis into small pots (I usually do 3-4 pots with this quantity), label and freeze.